Creating Inclusive Library Environments: A Planning Guide for Serving Patrons with Disabilities by Michelle Kowalsky and John Woodruff (ALA Editions, 2017). How can you create an inclusive environment for patrons with disabilities? 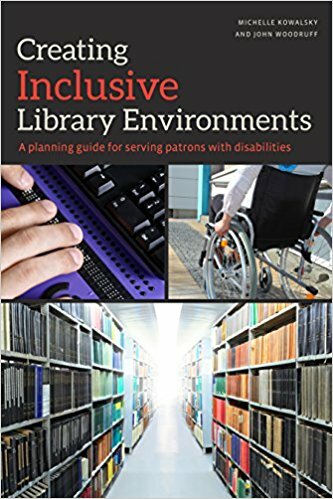 Michelle Kowalsky and John Woodruff offer tips in their new book, Creating Inclusive Library Environments: A Planning Guide for Serving Patrons with Disabilities (ALA Editions, 2017). Kowalsky is a librarian and professor at Rowan University in Glassboro, New Jersey, where she teaches and supervises undergraduate learners and graduate students in their research endeavors. Woodruff is director of the Academic Success Center and Disability Resources at Rowan University. He coordinates campus services for students with disabilities and manages transitions for students entering college. An excerpt from their book was published in the March/April issue of American Libraries. We spoke with them about what inspired them to write the book, what they learned during its creation, and more. KOWALSKY: I’ve always wanted to write a book, and I knew this was a compelling topic. It’s a book I wish I could have read when I first became a librarian. There are so many things to think about when you are designing for accessibility, inclusiveness, and social justice. 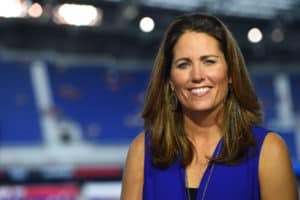 WOODRUFF: A lifelong love of libraries and a career helping individuals with disabilities connect with resources inspired me, as did an opportunity to collaborate with Michelle. Her idea for the book was coupled with endless enthusiasm and focus to produce a quality resource. 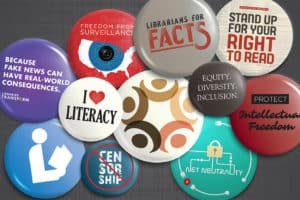 KOWALSKY: Librarians and staffers in all types of libraries will find it to be a useful guide to all aspects of inclusion. The important issues are not limited to facilities and websites anymore—we have to think about staff training, programming content, organizational change, and much more. WOODRUFF: Today’s library environment is evolving, and it is essential for library staff to be aware of best practices in serving the various needs of diverse patrons. KOWALSKY: There isn’t necessarily just one way to meet a need, and needs vary from one individual or community to another. Many of the details we offer are new twists on ideas or different ways to approach common problems. Each time you read the book, you can learn something new, ​depending on what your library or patrons need. WOODRUFF: I was surprised to learn how many exceptional models of inclusive library environments already exist throughout the US. Libraries are natural partners for collaborations. 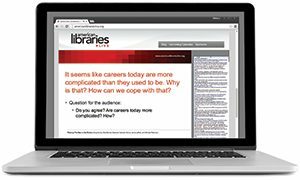 Our research highlighted many practical steps libraries can take to be truly inclusive for all patrons. WOODRUFF: Huey Long by T. Harry Williams. Published in 1969, it’s a fascinating story of a man driven to succeed at all costs. KOWALSKY: I am researching grants that will extend this work into libraries that may need assistance catching up. 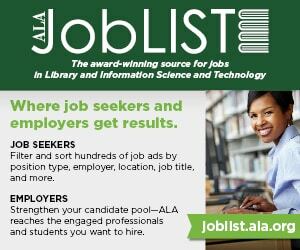 Also, these grants may help libraries that are already modeling inclusiveness to innovate even further and develop the next generation of services. WOODRUFF: I am exploring a book project with two colleagues on the transition from high school to college for students with disabilities and strategies for academic success. It’ll be a resource guide for parents and students.